The Trout Fishing is has been Awesome. Well as the Fall season approaches the cooler mornings and changing of the leaves are starting to be noticed. Now we can all see that the fish counts are low... In my opinion this year is the true test of real Steelhead anglers. 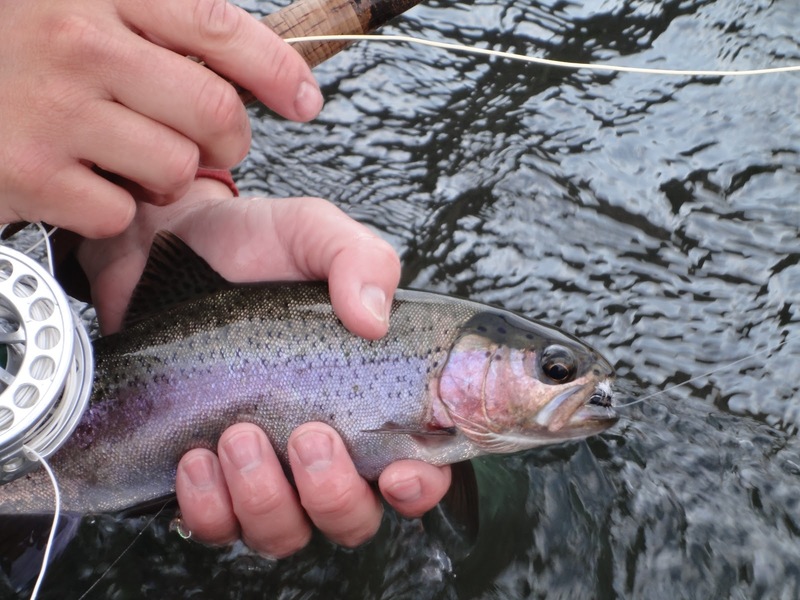 The harder the fishing comes the more they persist. One of many taken on a dry fly. 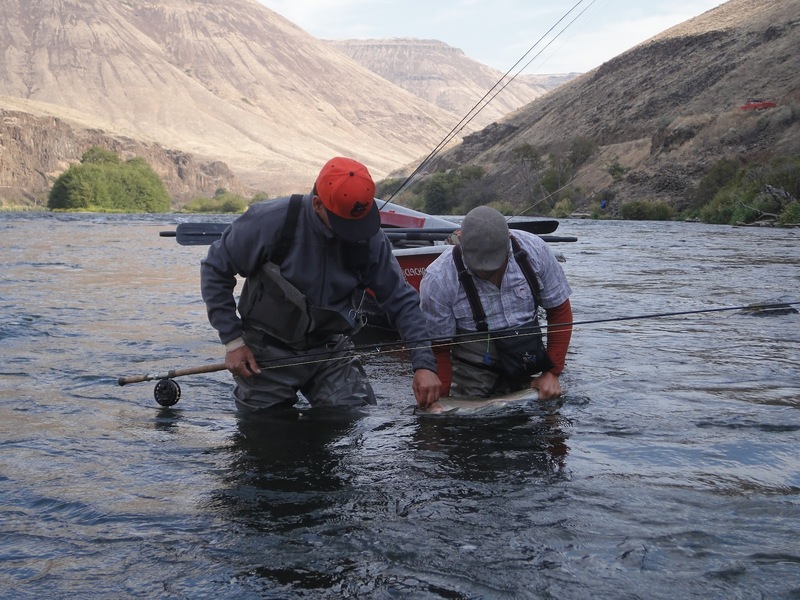 We could talk Steelhead numbers and methodologies all day, But if you want to go out and be on top of the game right now trout are the way to go on the Deschutes. I was out with a couple of good friends of mine last Friday and intermixed with the Steelhead angling we went trout fishing!!! Wee HAMMERED them... crushed them and almost all were on the surface! These are also fun but have been tough lately.